Installed in the corner of a shower, a body dryer uses warm air to dry the user and eliminates the use of towels. Controlled via a simple pressure switch, the body dryer is also ideal for infection control and for drying spray-on tans. 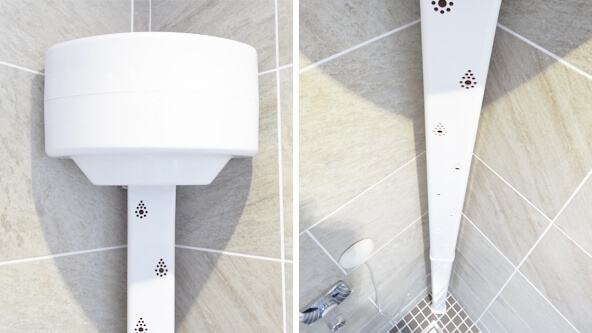 We supply the Apres Body Dryer, with next day delivery included as standard.